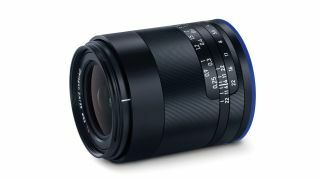 The ZEISS Loxia 2.4/25 is a 25mm manual-focus prime lens, which joins the Loxia family of lenses designed specifically for the Sony Alpha mirrorless camera line. With its wide focal length, the lens is aimed particularly towards landscape and architectural photographers. Thanks to a brand new optical design, this lens promises to deliver the ZEISS trademark peerless quality, with practically no distortion across the frame. Like all the lenses in the Loxia family, it’s designed to be small, portable and durable, with a compact metal housing surrounding its internals. It weighs just 393g and measures 74.5mm in length, with a ten-element, eight-group construction and a minimum focusing distance of 25cm. This is the fifth lens to join the Loxia family for Sony Alpha cameras, which also includes the 2.8/21, 2/35, 2/50 and 2.4/85. All are manual-focus lenses designed for photographers and filmmakers alike, and ZEISS also points out that their shared diameter of 62mm makes them easy to switch between when on a shoot.